Garrapata State Park has become one of my personal favorite places along the Carmel Coast. There are few beaches like this one, and it is beyond incredible. 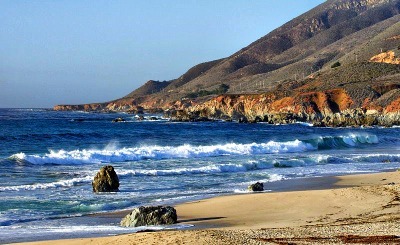 Hands down, one of the most popular beaches as you enter "Big Sur." I can still hear the crunch and the feel of the dry sand between my toes as we walked out to the pounding surf giggling about our new discovery....yet a little concerned about rumblings in our conversations about seeing other people. Garrapata State Park is also a superb hiking destination for couples looking for an interesting day trip on California's Central Coast. The short drive from Carmel and easy access, brings folks from Carmel, but it never seems busy ... probably a compliment to the minimum signage ... and a plus for those who know where to go. This is the place for a great single date or with a group of friends. Then put on your shoes and get going ... it's that wonderful! Locals and travelers alike often miss the best of this Pacific Coast for a very simple reason....they don't know where to go. Even I missed this place for two years while exploring the coast. Now it's my absolute stopping place whenever I head down the Big Sur Highway. 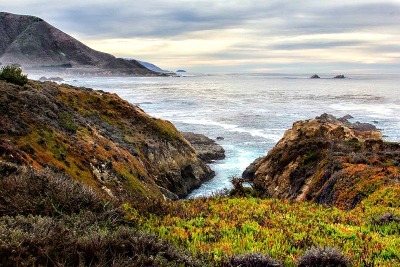 It's easy to miss as you barrel down the road thinking that your destination for rugged beauty is in Big Sur, but don't be misled, the beauty is here as well, and all around you. Garrapata State Park is spread out on both sides of the highway. The beach side promises two miles of white sandy beach where long strolls on the sand, a blanket, a picnic lunch packed for you by Carmel Village Deli in the village of Carmel, and you have all of the ingredients for a classic and I mean classic Big Sur romantic escape. It doesn't get any better ... and a blanket makes for perfect cuddling on the beach if the winds begin to blow and...even better if you can stay until sunset. 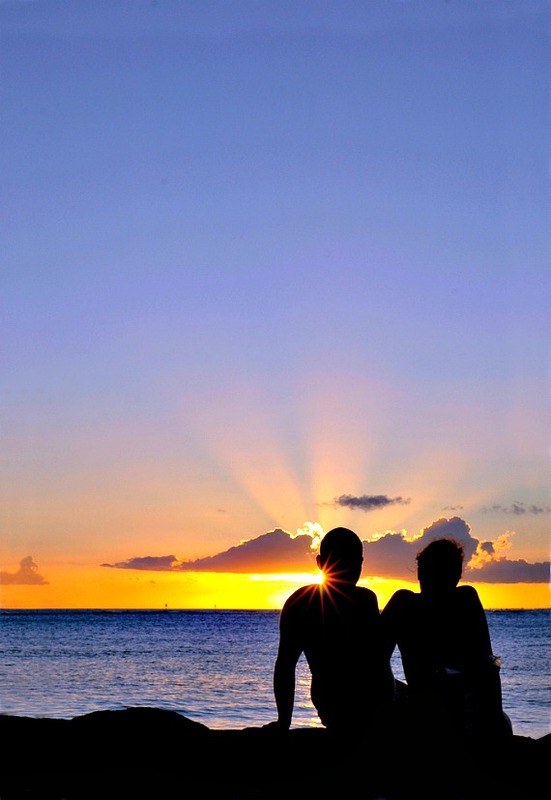 Imagine a vivid sunset wrapped up with the one you love and the beach all to yourselves. The waves are crashing, the sand is warm, the sea lions are calling, and your with the very person that is most important to you. Be careful ... for some odd scientific reason, barking sea lions tend to make a kiss on the beach much more memorable. I can't explain it ... just look it up! The hills of the Santa Lucia range descend right down to the waters edge, but stop in a way that allows lots of white sand for walking and romping in the waves. Sit long enough, and you might see Humpback or Grey whales and their offspring just off shore. A pair of binoculars will get you pretty close. Plan your trip in January, and park rangers are usually available to let you know about recent sightings. The fog is usually not a concern this time of the year and the weather can be surprisingly spring-like. I have seen almost every mile of the California coast, and I believe you could travel for weeks in search of the perfect romantic beach along the Big Sur Hiway and none, absolutely none, would compare to this stretch of seemingly never ending sand. It’s easy to get here from Carmel in about twenty minutes. Plan to stay and view the magnificent sunsets that make this beach a photographers dream (Many professionals use this beach as the focus for their Big Sur portfolios). 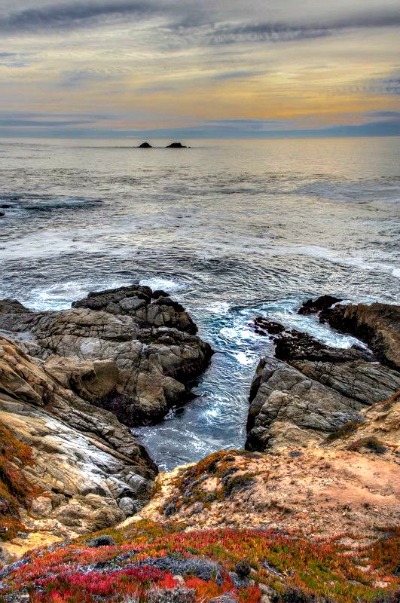 Garrapata State Park is only 6.7 miles from Carmel-By-The-Sea and 3.5 miles Point Lobos. The drive is stunning as you cross over the Bixby Bridge and head for the Garrapata State Park sign. Watch for the pullout where you can see several tall cypress trees. There are a total of 19 gates that are actually openings in the cattle fences, but for this segment of the trip you are looking for Gate #8 or Gate #9. It's easy to miss as you barrel along the highway, so take it slow and watch your mile markers. If you see MON 6300 or a sign for the Garrapata Crek Bridge, or see the exit signs for the Rocky Point Restaurant, you will need to turn around and look for the pullout again. This area was named for Spanish Explorer Jose Maria Soberanes, and later became part of the mammoth Doud cattle ranch. This section of the coast have been grazed by cattle for hundreds of years and you will still see many still grazing as you drive farther south on the highway. Find your way down to the beach using wooden stairs and being careful not to slip on the well worn dirt paths. If you planned things right, now would be the right time to plop on the beach, stroll awhile on the bluff trails to get your senses awakened, congratulate yourselves on making a good choice, and then indulge in that pre-made lunch basket you brought along. Good food really does taste better on the beach. Save some time in the late afternoon so you can enjoy the last minutes of the day together as the sun begins to disappear below the horizon. I hope you brought a flashlight to find the path back because dark here is really dark! There is no visitors center, but there are restrooms between gate #8 and gate #9. Dogs are OK if kept on a leash. Bluff Trails at Garrapata State Park with Views of the Beach and Rocky Coastline! If your adventure begs for some time on the beach but the thought of a little hiking on the bluffs or in the canyon sounds appealing, the Bluff Trial on the west side of the Hiway or the Soberanes Loop Redwood Trail on the east side of the Hiway are perfect. No doubt this will be a well remembered trip and a place to return to for anniversaries and special occasssions. While you walking on the beach, look for shells that you can add to a container each time you travel here ... just for the memories. Consider that upon your return this would also be an ideal destination for the couple who want a quiet but memorable ceremony to renew their wedding vows ... something small and for just close friends. Everyone loves the beach, and to keep it completely stress free, you could have it catered by Romantic Designs in Carmel, complete with rose petals on the sand. Now that's a memory! Some of the best picture taking opportunities anywhere on the Big Sur are here at Garrapata State Park. Waves crashing on the rocks can cause ten to twenty foot splashes perfect for the camera especially if the one you love is standing in the foreground ... just remember not to ruin your romantic moment by getting too close to the waves! The wonder of Garrapata State Park is that This magical destination has only two flaws. It gets hot in mid summer, and it's the first place to see fog even when Carmel to the north and Big Sur to the south are in the sun. Plan your trip in late fall or mid day in the summer to avoid the sometimes chilling effects of fog as it whips up the mountain. Some love the fog, and find that it adds to the romance and mystery of this jewel in the California State parks system ... if that's you, the beach is all yours, and when the sun does come out, and it almost always does by early afternoon , you will have the entire two miles of million dollar real estate to yourselves. Stay until Sunset With The One You Love! They are often spectacular on this beach and add to an already romantic adventure. When the sun begins to drop from the sky, take a few images of the setting sun with the red iceplant and white lilies that are found near the creeks ... then add them to your "Escape to Garrapata Album" so you have these moments to remember. Garrapata State Park is open until one half hour after sunset. Don't forget the flashlight!